Have I emphasized on how important it is to me to find more natural and organic products? Have you been reading my reviews? I am always on the lookout for more chemical free products and think I came across some of my favorites. 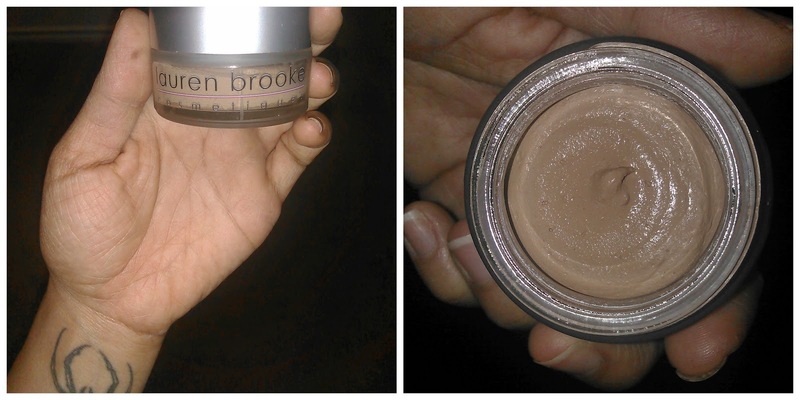 Have you heard of Lauren Brooke Cosmetiques?? Well, if you haven't, please do read on. I was given the wonderful opportunity to try out a few of their products recently and I was more than pleased with everything. I love everything that I read about this product, before using it. Our bodies are exposed to so many toxins daily. I love to detox and often as possible. 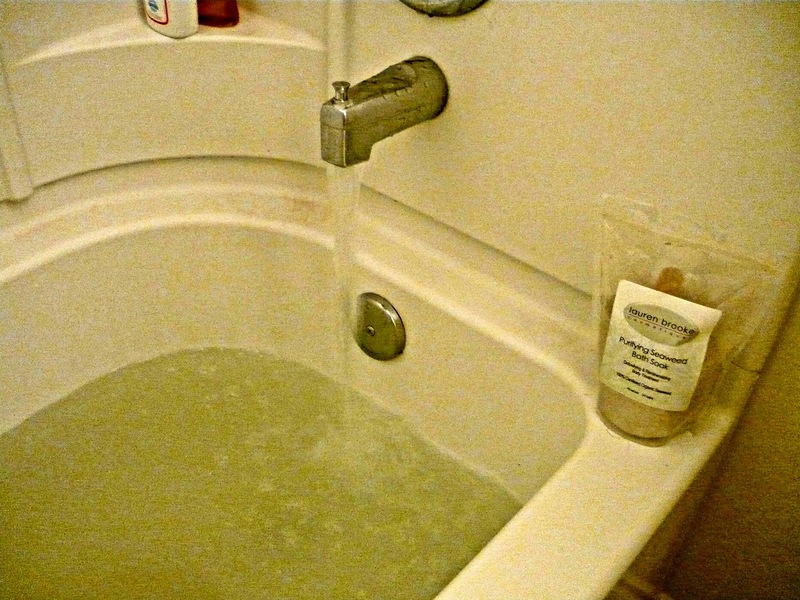 Normally I take oral detoxes, this is the first bath detox that I've ever tried. 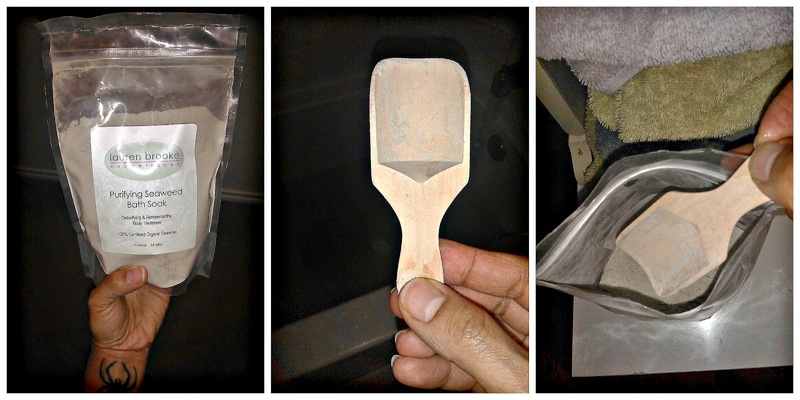 It's very easy to use and comes with a mini scoop inside. You add a few scoops to a tub full of water, and relax in it. Read a book, close your eyes...and allow it to draw out those impurities. I think that this product is excellent. It felt good and soothing. I've only used it a couple of times and both times I came out of the tub with my skin feeling invigorated and rejuvenated. 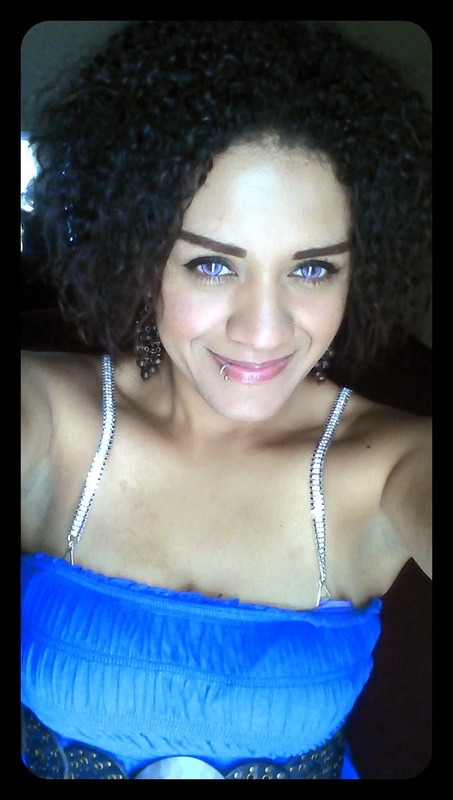 I ALWAYS have the most trouble finding a foundation that matches my skin tone. Either I'm too light or I'm too dark. I've tried so many different brands and in order to get anything close to my color, I have to use several different foundations mixed together. It's very frustrating because it ends up being too heavy and thick. It also doesn't last all day. What I love the most about Lauren Brooke's foundation is the fact that the two shades that I tried are closer to my skin tone than any other brands that I've tried. I couldn't believe it. I don't have to blend 4 or more shades together or have a ton of makeup caked on. With this foundation, it's thick, but not overly thick and I can use way less. The coverage surprised me too since I was using such a little amount. I love how light it does feel on my face and the fact that it protects my skin from the sun. Best part of all---the ingredients, of course! And yes, it lasts on my skin for several hours. In love with this product. I love to use blush on my cheeks to add a bit of color, so I won't look washed out. I have tried a few blushes in the past and have only liked a couple. Many of the blushes that I've tried in the past have either irritated my skin, looked too dark or bright, or even worse-made me break out pretty badly. I wanted to try this one out since it's paraben free and made with natural earth pigments. I chose the shade, Petals. I've been using it ever since I got it, and I'm very happy with it. At first when I saw the size of the container that it came in, I was sad because I thought, "It's so small!" However, I only have to use a little bit with my blush brush and it instantly brightens up my face. So, actually the size is perfect. I also haven't had any irritation, nor have I broken out from using it! Yay! Great product. I really like bamboo products. I have always wanted to own bamboo makeup brushes so was happy to finally own at least one. 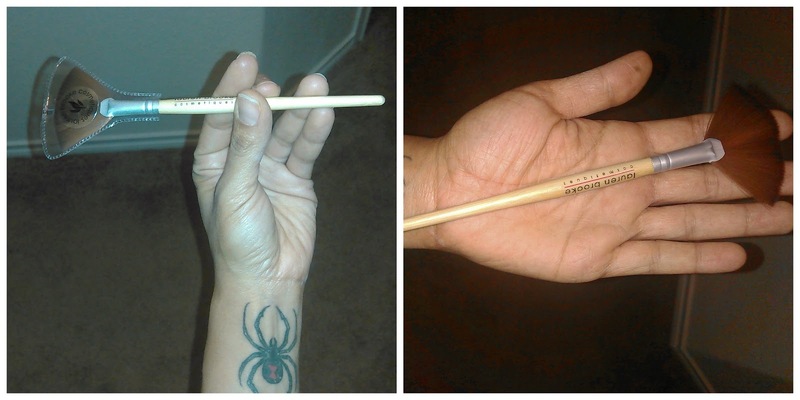 I do own a set of makeup brushes and not a single one of them can compare to this bamboo brush. I say thing because many of them have started to shed right away or fallen apart in a matter of days. I have been using my Lauren Brooke fan brush practically every day since it arrived and it is still in perfect condition. The handle is very sturdy and the bristles are very nice. This is also the first time that I've ever owned a fan brush. Fan brushes are great for applying bronzer and I've used it for highlighting as well. I like this brush so much that I plan on eventually purchasing the others so that I can have a full set of eco-friendly bamboo brushes. 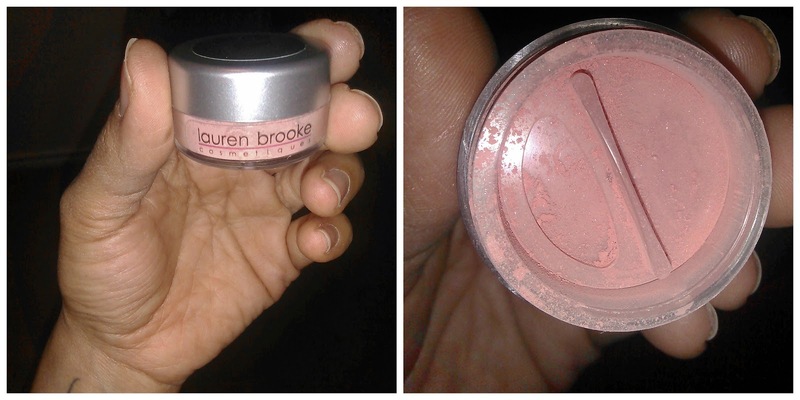 I am so happy that I learned about Lauren Brooke Cosmetiques. They have several other products available to choose from so if you are interested in looking beautiful and taking care of your skin/body with high quality, paraben free products, don't forget to visit their website.